Given that some of the major forms of artistic and competitive are carried out indoors in skating rinks, it is easy for folks to believe that getting a hard-wheeled indoor skate would solve all their skating requirements. In reality, few women are confined to skating indoors and a majority perform a substantial part of their skating outdoors in areas where the surface is uneven and rough. 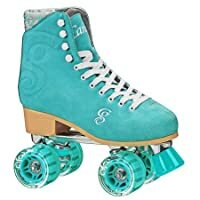 Keeping this in mind, it is always advisable to have a set of the best outdoor roller skates for women at hand because even if your primary interest is in indoor skating, sooner or later you would be required or tempted to go in for outdoor skating. Indeed, since outdoor skates can be used indoors in certain circumstances, it wouldn’t be wrong to go in for an outdoor skate prior to obtaining an indoor one. 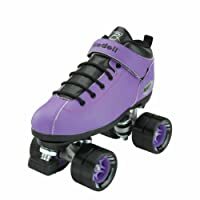 To make your choice easier, we’ve come up with a simple set of tips and a set of the best roller skates for women for you to choose from. Offering premium 82A wheels made of polyurethane that has been specially primed for outdoor skating and high quality ABEC-7 bearings, these roller skates are ideal for virtually any outdoor skating scenario. Complementing such ruggedness with stability is the high impact base that comes with aluminium trucks for enhanced durability. What users really found admirable about these skates however, is its ability to provide excellent comfort courtesy of the PVC leather shoe. Now while some found that extremely rough use could cause the toes to get scruffed, a larger number remarked on the durability of the foam padded tongue that bears the company’s logo. 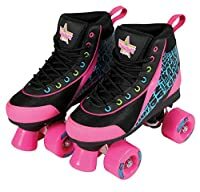 Combined with the unit’s ability to accommodate growing feet and the attractive color scheme, these make the product ideal for parents and relatives who’d like to see their daugthers/nieces enjoy the very best of skating gear from a young age. Another contender with high quality polyurethane wheels, the Pacer Heart Throb distinguished itself to users courtesy of its ABEC-5 chrome bearings and the excellent stability afforded by the RTX6000 durable plates. Indeed, such is their stability that one user even suggested using the product for both indoor and outdoor use. Moving to the shoe, it should be noted that because the shoe is man-made (and not machine made) it corresponds to the actual shoe size of the user. Add to this the premium quality AccuShine boots with soft lining and you have a product that fits like a glove regardless of the size you or your child wishes to wear. 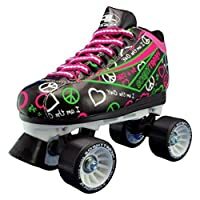 With there being over 10 sizes to choose from, these wheel and shoe features add up to produce an excellent skating experience for beginners regardless of their age. Our second contender from the house of Pacer, the GTX-500 comes with excellent wheels that come with ABEC-1 bearings for enhanced stability and freedom from jamming. While a few users found the toe stop to be a little hard, the majority admired the design of the stop and commented on its role in ensuring adequate stability during skating. Indeed, when combined with the decent base plate, this allows the skater to enjoy unmatched speed on a wide range of surfaces. As a quick look of any skaters’ group or forum will tell you, roller skates tend to be seen as being made up of a checklist of features. Handwoven shoes, aluminium plates, high quality bearings, et al, feature in our list of must-haves whenever we seek out the best women’s skates, especially women’s outdoor roller skates. While the above four are definitely desirables, matters go out of hand when we keep extending the list without being flexible. To this end, the list of top skates for any year should be flexible in terms of features while refusing to compromise on quality. Below we have compiled for you just such a list of four outstanding skates. If you thought pricey aluminium was the only way to go, Riedell is out to prove your skater plate ideals wrong. Offering the right combination of 85A Zen wheels and outstanding nylon plate, these skates have proven themselves on concrete, various pavements and even very hard dirt. While the bearings are somewhat susceptible to rust, their performance has been praised by both professional skaters and ordinary reviewers. Throw in front stops and you have the most stable and natural skates this price bracket can offer. A worthy complement to this lower half is the excellent leather-like synthetic boots. Coming with traditional lace-closure, these precision made boots combine comfort with enough space to wear thick socks (in winters or as protection against blisters). Considered along with the fact that these are handmade and almost immune to water damage, the feature list puts these Riedell’s Citizen ahead of most contenders of 2018. A versatile product at a lower price point, Chicago’s offering comes with rink wheels that can handle hard outdoor surfaces without breaking into a sweat. While some users worried about receiving poor wheels, these turned out to be isolated cases that did not affect the majority of customers. For the latter, in fact, the combination of high quality bearings, decent wheels and excellent plate ensured a pleasant experience across a range of surfaces. Indeed, even derby competitors found the product to be worth a shot. Similar to its Riedell competitor, this Chicago unit comes with flawless boots that have a lace system combined with a premium exterior. We found that the shoes do tend to run somewhat wider than expected, leading some users with thin/narrow feet to order a size less. Once this hiccup was out of the way, the shoes proved to be every bit the snug beauties we’ve come to expect from Chicago. 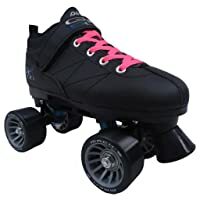 Added to the excellent overall construction and wide list of positives, this makes these skates a must-have for beginners and occasional competitors. Ideal for outdoor skaters, the 82A wheels of this Roller Derby offering are capable of handing all except the most muddy of outdoor surfaces. Couple these with the stability offered by aluminium plates and ABEC-5 bearings and the stoppage of double-action trucks, and the wealth of positive responses to this beauty hardly come as a surprise. Of course, the real beauty of these skates lie in the shoes. Precision-made for exact ladies’ sizes, these suede leather boots are noted for being stiff at first but very comfortable once the feet become accustomed to the well-lined interior. Add lace-closure and the hardy yet beautiful exterior, and you have outdoor skates as efficient as they are beautiful. A fine challenger for its Citizen sibling, the Dart comes with wheels that work well both in the rink and on moderately hard outdoor surfaces, though opinions differ on which is better suited. What is unquestioned is that the ABEC-5 bearings of this product, combined with the Powerdyne nylon plate and good wheels create the perfect setup for enjoyable skating. As certified by both children and professionals, these skates manage to navigate corners, maintain decent balance and keep the feet comfortable, even at moderately high speeds. Of course, the comfort part is equally the result of the excellent hand-made boots. Unlike the other products on this list, this unit comes with both a strap and the traditional laces, thus ensuring additional safety while skating. Throw in a durable exterior and range of colour options and you have a skate that can please both the casual and the discerning skater without emptying the wallet. Find even surfaces to begin practice – While it is attractive to start out on surfaces that require a lot of foot-lifting and rapid manoeuvres it is never ideal to start out with these as the risks of losing balance remain high. Instead, look for surfaces like basketball courts, driveways and then plain side-roads with minimal traffic to begin your skating practice. Pavements are also ideal provided they do not have patterns and the local municipal rules allow for skating on the pavement. Maintain proper leg posture – One of the common mistakes made by users is to lock their knees and move as if they are part of a marching squad. Such locking might make it easier for you to skate without requiring repeated raising of the legs but it reduces the body’s ability to break a fall should you lose balance. It is therefore advisable to maintain ordinary slightly-bent knee posture and allow it to bend fully if you find yourself falling forward. Maintain proper spinal posture – The shape of your spine determines the distribution of body weight and this in turn, will decide how stable you are when you move sideways or execute turns. Do not bend forward while skating unless you have a specific reason to do so. Instead, maintain a fluid and ordinary skating posture and you will find that the need to modify one’s weight distribution is reduced to a great extent. This would impart stability and allow you to try out more complex areas. 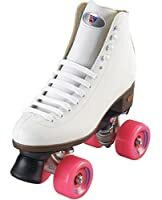 As the above discussion on outdoor rollerskates shows, the need for durable polyurethane wheels, ABEC bearings and a comfortable shoe is almost universally acknowledged by users. These should be kept in mind in case you wish to go in for a set that has not been featured here and/or which does not possess an informative set of reviews. However, buying a good shoe by itself isn’t enough – you also need proper practice. To this end, we have provided tips that allow you to obtain a comfortable learning curve before moving into the more complex aspects of skating. 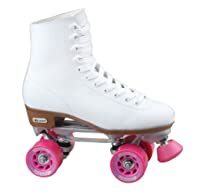 Combined together, these should be able to provide you with the ability to skate freely and at the speed and complexity setting of your choice without worrying about injuries or breakdown of the skating apparatus. Very nice article. I appreciate your writing. You have written great article on Roller Skates. Thanks for sharing such kind of info. This was really helpful! Thank you for sharing!! !